High blood pressure can increase your risk of heart attack or stroke. 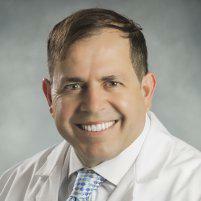 At Somerset Family Medicine SFM, Neil Jaddou MD helps patients manage their high blood pressure and avoid complications. Somerset Family Medicine SFM offers convenient locations in Troy and Sterling Heights, Michigan, so it's easy to receive medical care when you need it most. Dr. Jaddou and his team provide comprehensive one-on-one care and take the time to address all your concerns. If you're struggling with high blood pressure, don't delay treatment. Call Somerset Family Medicine SFM today or schedule an appointment online. High blood pressure, also known as hypertension, is sometimes called the "silent killer" because it doesn't always cause symptoms. Many people with hypertension don't realize that their blood pressure is too high. But when hypertension goes undiagnosed or untreated, complications can arise at any time. During your appointment, Dr. Jaddou will review your medical history and ask questions about your lifestyle to determine the cause of your high blood pressure. Mild high blood pressure, sometimes called prehypertension, can be treated with lifestyle changes. Dr. Jaddou may recommend that you improve your diet, quit drinking or smoking, or get more excess. You may also need to get help managing your stress. If your condition has progressed to Stage 1 or Stage 2 hypertension, you may need to take medication to reduce your blood pressure. Some cases of high blood pressure can be difficult to treat, but Dr. Jaddou explores all your options for safely lowering your blood pressure. How can I reduce my risk of hypertension-related health problems? If you’re concerned about your high blood pressure, Dr. Jaddou and his team can help. Call Somerset Family Medicine SFM today or schedule an appointment online.